Education Minister, Edward Timpson, has, it seems, listened to the concerns that so many, including Special Needs Jungle, have voiced - that the pace of SEN reform is too fast and more time needs to be given to learn from the pathfinder trials. At the Education SEN select committee on Tuesday, he announced the extension of the Pathfinders for a further 18 months to run through to September 2014. This is six months after the the bill was originally slated to pass into law and I, for one, welcome it. He did, initially, say he still wanted the bill to be passed by the original date, however. The Minister said, "The overwhelming view is that we are moving in the right direction, but we want to get this right and if that means listening for a little longer, then I am prepared to do that." In response to concerns from some that the new bill will remove rights that are already existing, Mr Timpson offered assurances that families' current protections under the existing statementing system are intended to be carried through to the new system. This includes the right to request an assessment, which will also include parents, GPs and Health Visitors. Earlier, parent representatives at the meeting had highlighted the issue that the wording in the current bill did not make it clear that local authorities still had a duty to respond to a request for an assessment within a specified time period. 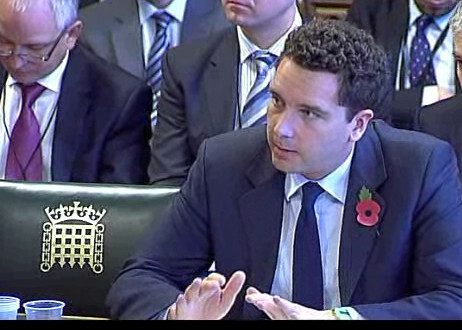 Mr Timpson did not give a clear answer about imposing statutory time scales to ensure that local authorities could not drag out an assessment. Mr Timpson said, "In no way shape or form is there an intention to water down the protections that parents currently have and if that requires some nuances to the drafting in the clauses that are currently before the committee, then I'm happy to go back and have a closer look at." The Minister also said that the Department for Education is working closely with the Department of Health to ensure health play a greater part in a new SEN and disability system. This was in response to concerns that in the draft bill at the moment, only local authorities have a duty to provide the therapies and support specified in a plan. Regarding the health issue, Sharon Smith of Hampshire Parent Voice, part of the SE7 pathfinder, illustrated it using personal concerns relating to a duty on health to provide the specified therapy and care. She cited her daughter, who has Down's Syndrome, needing speech and language therapy and if this came under health provision and wasn't forthcoming, there would be no way to appeal or ask for a judicial review. Mr Timpson said they will be looking at the NHS mandate and at redress in the NHS constitution, as well as ways to forge links between Joint Strategic Needs Assessments and Health and Wellbeing Boards. Mr Timpson explained his decision to extend the pathfinders from March next year to September 2014 saying that in some areas of the trials there was already a grounding of good evidence (not quite sure which ones he means) but in other areas they still need more evidence- for example personal budgets- for the right regulations and a new Code of Practice to be formulated. By Next March, the bill still would not be on the statue books and so they would use that gap to learn from the pathfinders. When pressed on the question of when the legislation would be introduced if the pathfinders were going to continue until September 2014, the Minister said, "I want to make sure we get legislation right. If that means a short delay in introduction of bill, so be it. But it is the parliamentary authorities who have the final say in what legislation is going to be introduced, when." Which is very handy, it seems to me. When challenged about the proposal for mediation to be compulsory, the Minister said that there would be no in-built delay as a consequence of there being mediation, in that the two month period in which an appeal can be triggered would not be affected, as they anticipate mediation to take place within the first month. His answer to the question of capacity of mediation services was somewhat confusing, however. It also seems to imply that parents can still appeal in the same two month window as they can now with no delay. This needs further clarification. Questions were raised about how to transition from the current system to the new one for those children who already had statements. Mr Timpson said he wanted to avoid 'blind panic' and so the transition needed to be systematically and carefully introduced. He wanted to assure parents that the current elements of their child's statement would continue in an EHCP with the same legal standing and EHCPs would have the same legal status as statements. All current rights that parents have, he said, would be protected through the legislation. Addressing worries that there is only a legal duty for the education part of an EHCP to be delivered, the Minister said that joint commissioning would give a duty to health and social care to cooperate and work with education and parents. I'm not sure I'm convinced about this, myself, and I'm sure many of my colleagues in the pathfinders will feel the same way. For a transition from a statement to an EHCP, he said there would be obvious points - for example at an annual review or post 16 instead of moving to an LDA they would transition to an EHCP, but Mr Timpson said it was something they would need to think very carefully about. He didn't think there is a single cut off for all children, but they would use the pathfinders to provide evidence on the best way forward. With the all-encompassing approach of an EHCP, questions have been raised about what happens if a young person is out of education but still requires input from health and/or social care and Mr Timpson appeared to indicate that local authorities would have a duty (a legal duty??) to try to get these young people back into education. He acknowledged there were difficulties when a young person was in higher education as they had their own structures but did believe that it was important to bring apprenticeships under the auspices of an EHCP. Additionally, if a young person takes a year out at, for example 18, they will have a right to 'reactivate' an EHCP if they come back into education and if it if decided they no longer meet criteria, they will have the right, themselves, to register an appeal. There has been talk of redefining Special Educational Needs but the Minister said the current definition was the one that was intended to be carried through, but as it was something they wanted to get right, they would continue to carefully consider the issue. Terminology in the draft bill has been called into question and Mr Timpson said that the term 'set out' was intended to be the same as the existing 'specify' and it was not a way of trying to realign what may or may not be available. Which does beg the question, if that's what is meant, maybe they should have avoided controversy and said that to start off with. With the reforms comes a need for a new SEN Code of Practice and many believe that this should undergo the scrutiny of parliament. Mr Timpson said that he believed a new CoP should be a 'living organic document' that is concise and can be updated in a more natural way than going to parliament every time a change needs to be made. However, although he seemed on the one hand to be saying there would not be a consultation, he then said that there would be close involvement from parent-carer forums and a need to make sure they play a part. He did say that he was still listening to views that there should be a different route. A new Code of Practice, Mr Timpson said, would be a document that parents can easily access and that would be clear what their rights are and what the process is for their child’s journey. It would include information about the EHCP, Local Offer and Personal Budgets but he didn't want it to be labyrinthine. It must be effective, he said and that was why the pathfinders were important in informing that. The Minister said that regarding the Local Offer, it was not their intention that it would be a duty for the local authority to provide the content of their local offer. However, he then said a key area that it should address is that on the face of the local offer should be information on how a young person could seek redress if they don't receive the services laid out in it. I must admit I'm a bit confused here. In the previous committee hearing, the experts present said they believed that there should be a national framework of minimum standards for a Local Offer. In response, the minister said that what was clear is that they want a Local Offer to genuinely reflect what parents and young people want that is local to them with strong local accountability. He said that there would be, in the new CoP, key areas the Local Offer should cover but he didn't want to be prescriptive. He implied that it would be up to parents to confront a local authority if what was available to them was not of the same standard as that in another authority. In my opinion, the average parent of a special needs child doesn't have the time or energy to go about researching what is available in other LAs and start demanding it from their own. This is why a national minimum standard is a good idea, Mr T. You cannot expect parents to police the Local Authority and its Local Offer - it isn't reasonable or fair. The Minister said a national framework was not currently the intention, but they would give it more consideration and I hope that they do for the very reason I have just given. Congrats to the parents from Hampshire and the young people who made such good points clearly and concisely in their part of the proceedings. I agreed with the points they made completely and they did a really good job! You can view the live video feed from the Select Committee on the Parliament UK website. Thanks for this, Tania, not had time to watch the session yet. Questions in my mind over how legislation during this parliamentary term could be informed by Pathfinders if Pathfinders are to be given till September 2014. Excellent summary, thank you! Still concerned that fundamental problems within the system such as inadequate teacher/TA training, poor needs analysis underpinning resource allocation and increased autonomy of schools and health providers will prevent significant improvement, but redesigning the education and health services based on what services are actually needed seems to be beyond the wit of government. Reblogged this on A boy with Asperger's.